Hooray, we got an electric car! It’s a 2012 Nissan Leaf. Surprisingly affordable, at $7300 for this 4-year old car. 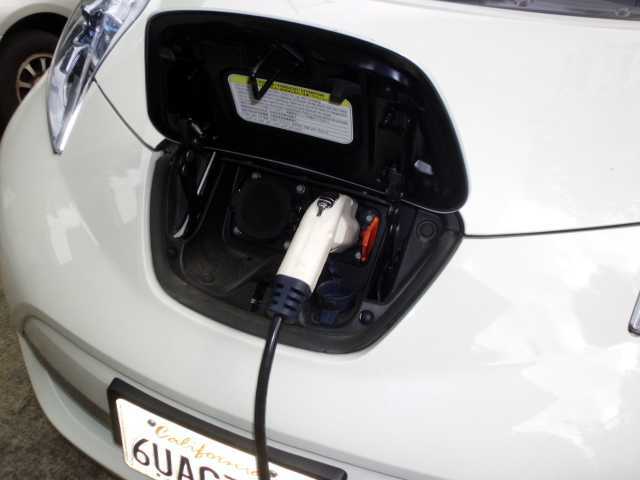 At the same time, we switched our electric rate with Pacific Gas and Electric to a time-of-use (TOU) plan designed especially for electric vehicles. Roughly, electricity in the middle of the day is most expensive, and is cheaper at night. This is actually somewhat to our advantage, because the solar array on the roof generates about half its energy between 11 am and 3 pm (10 am – 2 pm non-Daylight Savings Time). On a good day, we can sell electricity to the grid at a high price, then buy it back for less at night. The car itself has a charging timer, so can be set to start charging at 11 pm, and go until 7 am at the latest. Actually, the car only takes 3 hours for a full charge. We also move our dishwashing and laundry cycles to after 11 pm, when possible. I made this chart to remind us when the cheap electricity is. Feel free to make a copy of this for your refrigerator. This chart is for option A, which is most people.